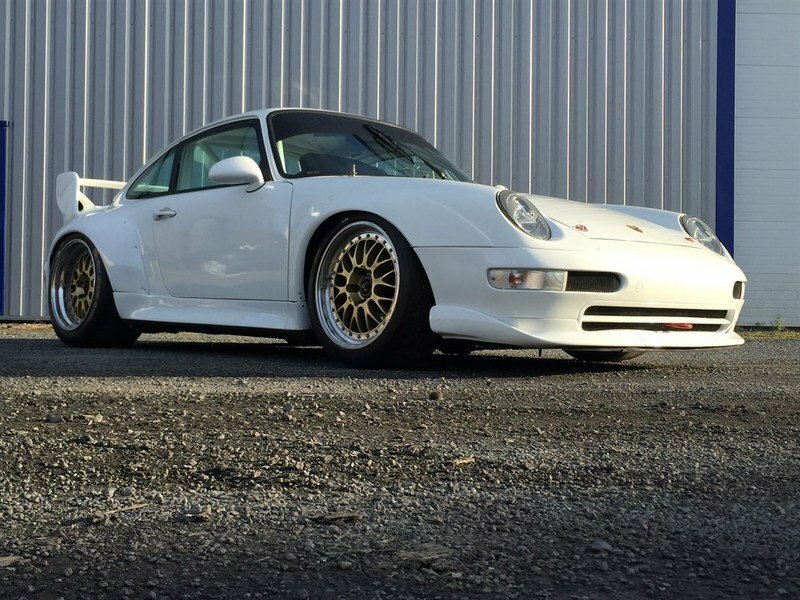 What you’re looking at here is a 1995 Porsche 993 Cup 3.8 RSR that has a bit of a history – in a good way. 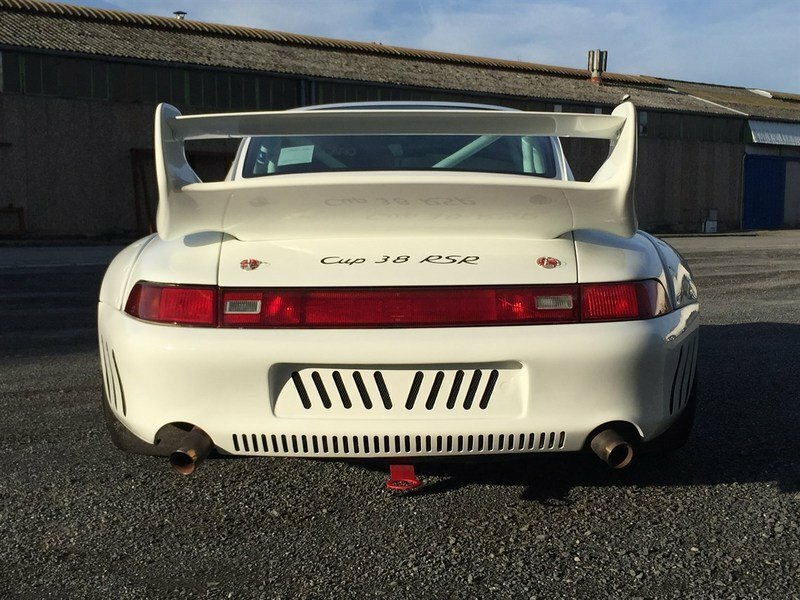 This particular car was delivered in 1995 as supercup and eventually homologated into GT Championship racing as a 3.8 RSR. The car continued racing in GT Championship until 2002, when it was then used for club and historic races. If you’re wondering about race wins, this car recently won the 2015 FFSA GT Classic championship, beating out cars like the 993 GT2 and even the Dodge Viper. Included with the purchase of this car, and available for inspection, are maintenance invoices dating back to 2010 that show $109,000 worth of maintenance over the past 6 years. 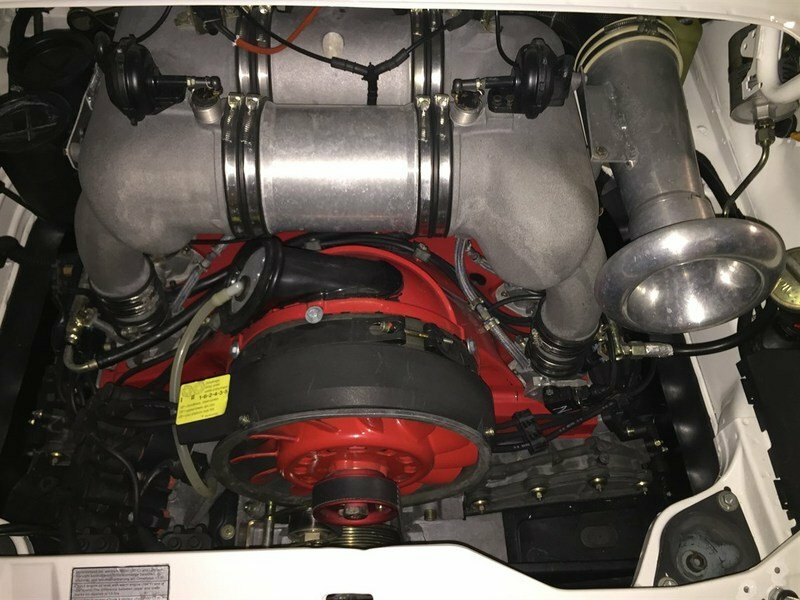 Both the engine and transmission were completely rebuilt during a detailed inspection back in October of 2015, and results from an engine dyno test are available. Items like the shocks and the clutch all have less than eight hours of use on them, and as you can tell from the images, the car is in great condition inside and out. So, now that we’ve covered a little history of this 993, 3.8 RSR, let’s dive into it and take a closer look at this car and what is so great about it. Continue reading to learn more about the 1995 Porsche 993 Cup 3.8 RSR. 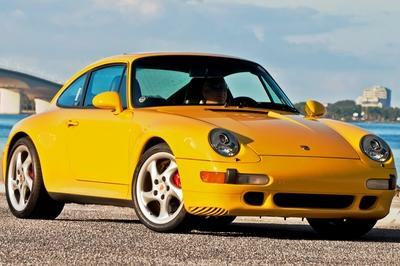 The 993 Cup 3.8 RSR is based off of the Porsche Carrera RS, and was also known as the Carrera RS Clubsport in some markets. Because of its track oriented design, however on-road drivability was limited in most markets. When it came to the U.S. market, the RSR wasn’t even available. 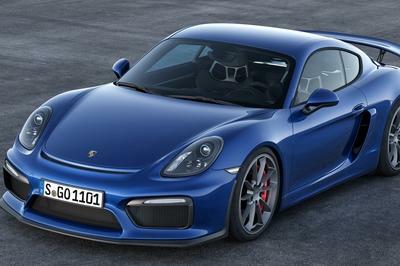 In comparison to the Carrera RS, you’ll notice only a few changes in the exterior. 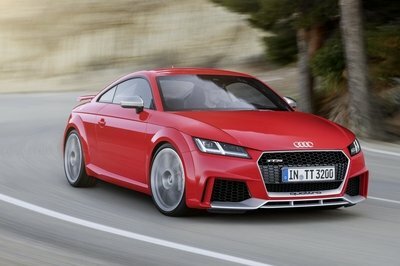 Up front, that same lower air dam exists, but the front spoiler is a little more pronounced on the RSR. Above the air dam, the driving lights have been replaced by mesh inserts. Even the natural-looking vent in the hood carried over to the RSR variant. To the sides, the RSR has sides skirts that protrude a little more, offering a little more downforce to the rear. To the sides, the RSR has sides skirts that protrude a little more, offering a little more downforce to the rear. Fender flares are also equipped on the sides of the RSR, undoubtedly to compensate for the wider wheels but also providing more of a wider-looking stance. Behind the rear wheels are three small, vertical vents in the rear fascia. Around back, the same taillights and light bar on the rear deck were carried over from the Carrera RS, but down below air vents have been placed in the fascia where the license plate would mount and in between the exhaust outlets. The rear spoiler has also been optimized for downforce – it carries the same general design queues, but the upper fin has been slanted upward in the rear. 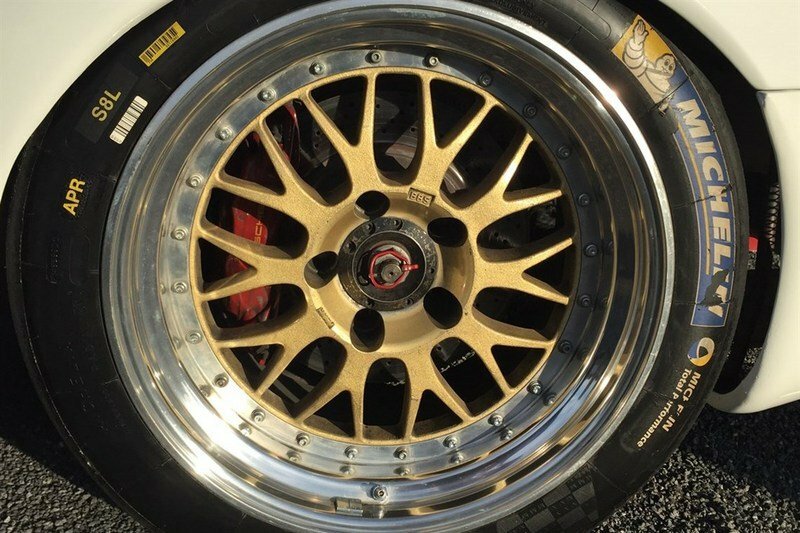 As far as the model in these images, the future owner can also purchase a spare parts kit from the seller that includes additional external components like center lock speedline wheels, front and rear bonnets, a rear wing, and original doors. Moving over to the interior, it is clearly more evident that this RSR is a track-focused car. Things like the carpet, radio air conditioning, all interior trim, powered features, passenger seating, and stock shifter have all be removed. And, as you can see in the images, a welded roll cage has been installed that runs from the sides and across the rear. 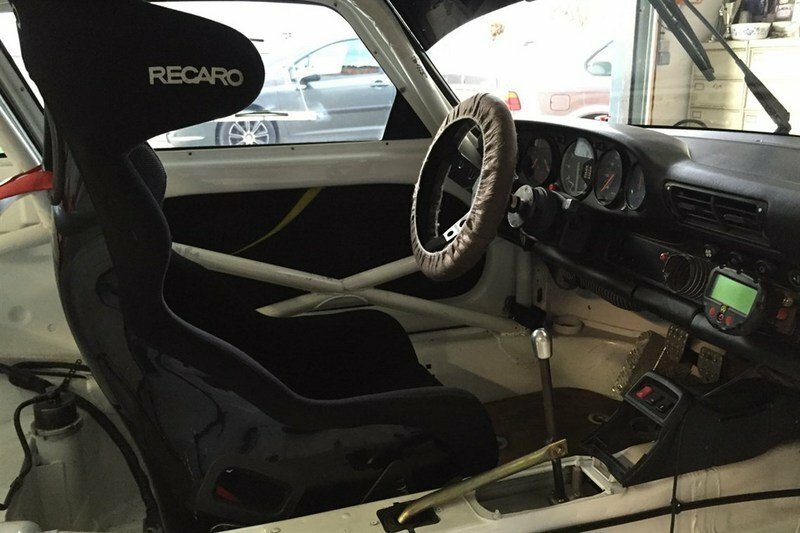 A Recaro racing seat with a five-point harness keeps the driver in place as the RSR zips around the track. Further deletions were also made to the front storage compartment. Outside of the standard equipment like electronics, the fuel tank, and battery, there is nothing to really speak of. All carpeting and trim has been removed to further reduce the overall weight of the car. Under that rear hood sits a 3.8-liter, DOHC, six-cylinder engine. With two valves per cylinder and Bosch fuel injection, the engine puts out 300 horsepower and 262 pound-feet of torque. Power is transmitted to the rear wheels via a six-speed manual transmission. Top speed comes in at 172 mph, with the sprint to 60 mph taking just 4.9 seconds. As mentioned previously, both the engine and gearbox have been rebuilt recently, during a thorough inspection of the car. The Shocks and transmission have less than eight hours of use on them as of the time of its listing on racecarsdirect.com. The package of extras available for sale with this particular car also includes spare transmissions, brake discs, brake pads, and a spare clutch. The specific car shown in these images is currently listed for sale with a price of €290,000 ($315,550 at current exchange rates) plus VAT. There is no mention of the cost for the spare parts package offered in the car’s description, but you can assume it will probably pull a pretty penny considering how much is included in it. 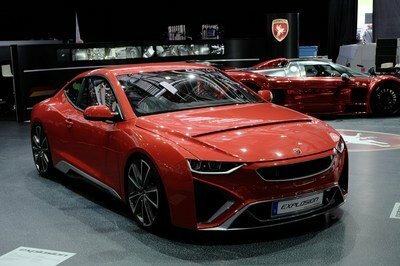 Other examples of this car, normally with different decals or paint on the exterior are listed in a similar price range – generally anywhere between €230,000 and €300,000. Currently, the value of cars like this is increasing as time goes on, so don’t be surprised if you see other examples going for more in the future. There are a number of cars the 993 Cup 3.8 RSR has taken on over the years. 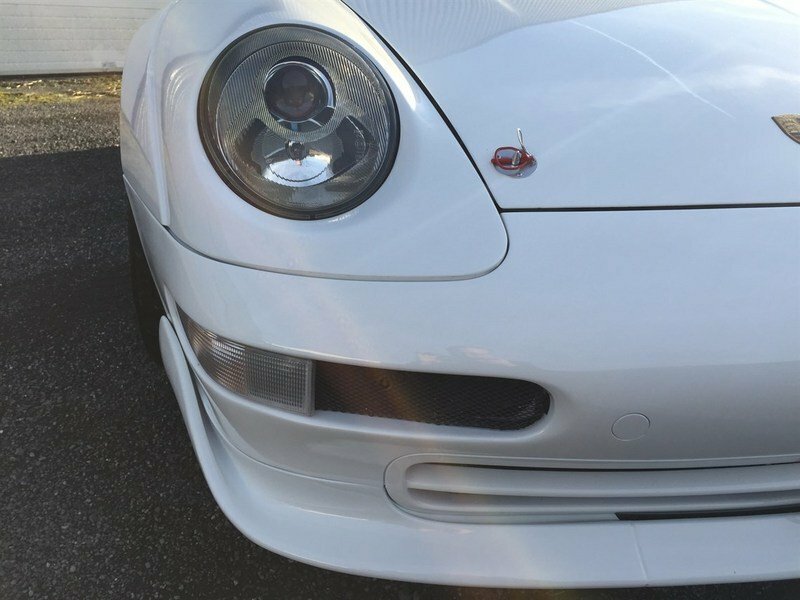 Just recently, this particular car took on the Porsche 993 GT2, Dodge Viper GTS-R, Porsche 964, BMW Z3 Trophy, Porsche 928, and the TVR Challenge to name a few. 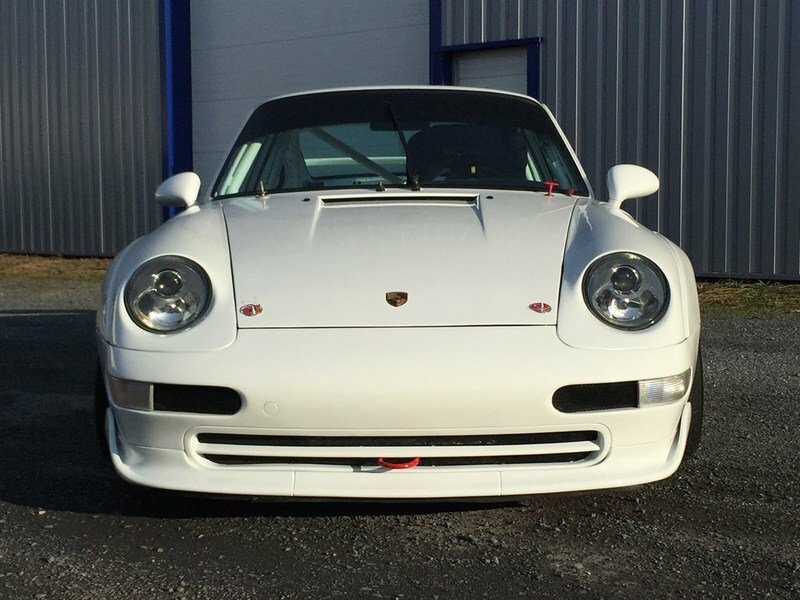 In the 2015 GT Classic, this 993 beat out all models, with the 993 GT2 and Viper GTS-R coming in second and the Porsche 964 coming in 3rd. Where do I even start about a car like this? I have to say I instantly fall in love with it, just looking at it from the pictures. The fact that it has been so well maintained, just adds to the value of a car that will continue to gain value over the years. The best part is, the car is still track ready, having just won that GT Classic not that long ago. 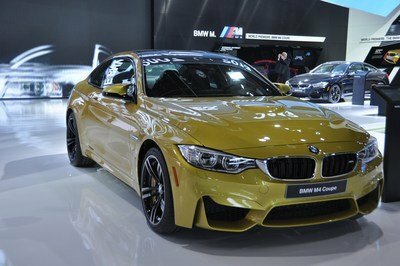 If you’ve got $320,000 to spare, and are looking for a well-equipped, numbers matching track car, I would say you’ve found a good candidate to add to your collection.